Photo [Right]: Juno Lucina is one of the writers for Solaced – you’ll read her story of her personal transformation, The Art of Aging, in the Mature Corseting chapter. As we take the next few weeks to put the finishing touches on the Solaced Corset Anthology, I’d like to make sure that we’re on the right track. Since the corset community has made this book possible in the first place (first by helping to build the list of corset benefits on this page, and then by submitting more in-depth experience for the book), it’s only fair that you, the community, also have a say in what stories end up in the final book. I was initially worried about not having enough stories for the book, but after over 150 prospective writers (about 120 of whom submitted stories) as it turns out, I have too many stories now, and my editor has told me to cull. I’m very bad at this and need your help. This book will have more of a focus on the therapeutic (physical and emotional) benefits of corsets, and there may be an opportunity to make another volume focused around the corset community and industry in general, as well as other “softer” stories (so whatever stories will be cut from this book, will likely make it into the next one!). Below you’ll find the list of topics/ chapters: you get a say in which topics interest you most, and which ones you would probably skip. You can also let me know in your comment whether you prefer Kindle, Paperback, Audio, or another book format! Kindle will be the first to be released, but I will almost definitely bring the book to print a bit later on. Other formats I will consider if the demand is high enough. UPDATE: The book is now available! Click here to see it on Amazon! Which topics do you look forward to reading the most? Leave a comment below! Undiagnosed autoimmune disorder? Multiple Sclerosis has been suggested multiple times, but no brain lesions yet. (Since 2002- I have had disc herniations 8 times already. Most of them were lumbar including an extruded disc, one cervical and one thoracic and several “complex” bone spurs that sometimes irritate exiting nerve roots. Also, mod to severe lumbar stenosis according to multiple imaging reports) Oh and if that’s not enough, I am not a candidate for any kind of corrective surgery. The surgeon actually told me that if he were to operate I would end up worse, so that’s not happening. I am on constant pain meds just to function at a subhuman level and if I move the wrong way I can barely walk for a couple of days. If I exercise I end up recovering for several days sometimes unable to leave the bed or couch. However, wearing a corset, especially a longer line corset to keep my pelvis in place I can function better longer. Not long enough to keep a job to the number of painful conditions I have, but none the less, I will take what I can get. If I have to go to a family function where I will have to stand a corset is a tremendous help, say at a wedding, especially with a long ceremony and a lot of ups and downs. Corsets are to me what a walker or a cane are to other people. That may be a strange comparison, but it’s true for me. If you are interested in helping me find a corset or my ideas for medical corsets, I would love to share them with you. Sorry for the lengthy post. Have a good one. Thank you. I failed to say how wonderful a thing it is you are sharing all these fascinating facts with the world. I really hope the medical community takes these into consideration. They have kept me going longer than expected. I would prefer a hard copy book if possible. It would make a great coffee table book. Gosh, honestly all of them have good information that I think are important. For this book. So my suggestion is to call your book Volume I!!!!!!! Hint, hint. LOL. Maybe the ones you have to cull could go into a follow up volume. I would definitely buy both no matter what. I am very interested to read the stories about the anxiety and autism spectrum stuff. I was diagnosed ADHD when I was younger and I have always noticed my anxiety panic attacks are less frequent when I am or have worn a corset. Hi Lucy! I’m very interested in all of the topics/chapters. There are so many things that corsets have helped people with that never would have crossed my mind. 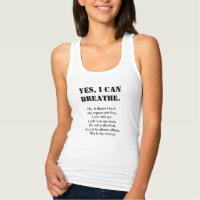 As a huge supporter of alternative treatments, I would love to read every story! Book formats… Kindle is a great choice, easy to access and always handy. I would really enjoy a full color hardback for my collection but I’ll happily take whatever you release. Thank you for doing this! I’m very excited to read it when it’s ready. Anxiety & Depression, Autism Spectrum, PTSD & Coping with Adversity, Mature Corseting are all topics of great interest. I’m interested in personal accounts as well as the physiological processes behind the concepts. As for forms of the book, I will be purchasing the kindle and a print copy. It would be lovely if the print copy were hardbound with color photos. Thank you for giving the corset community an opportunity to provide feedback. Thank you for your feedback, Reina! 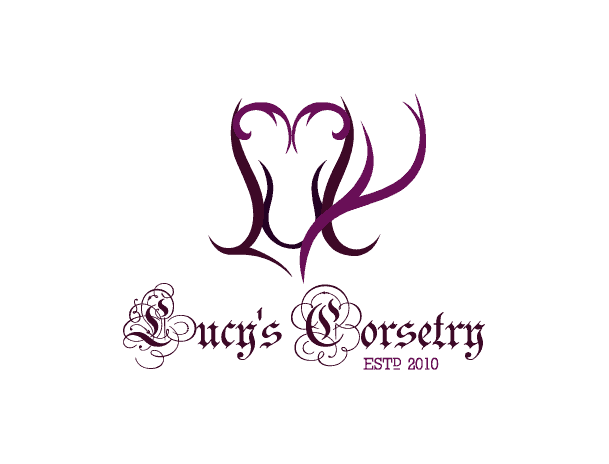 Hi Lucy, I am very interested I mature corseting. I’m 61 yrs young and love corsets. I’m also an RN, so everything else is very relevant to me. I prefer the book form,but will take whichever format you decide on. Thanks for all your info throughout these years, and for sharing your experiences! I am very interested in mature corseting. And overbust corsets designed for the softer flesh upstairs that comes with maturity. I am in my mid fifties.